In a blog entry at Atlantic magazine, Ta-Nehisi Coates evaluates the aftermath of the Susan G. Komen for the Cure foundation's intention to defund Planned Parenthood. He says that Komen's biggest mistake was failing to realize the depth of support for Planned Parenthood. "In an interview, Handel acknowledged she played a role in Komen's decision to defund Planned Parenthood, but also pushed back against allegations that she was the sole actor in the decision. 'I clearly acknowledge [my role] in the process, but to suggest I had sole authority is just absurd,' Handel told Fox News Tuesday afternoon.
" 'The policy was vetted at all appropriate levels.' 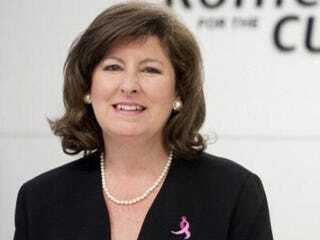 Handel reiterated that Komen had stopped funding Planned Parenthood because of new grantmaking policies, further explaining that 'controversy surrounding Planned Parenthood' also played a role."